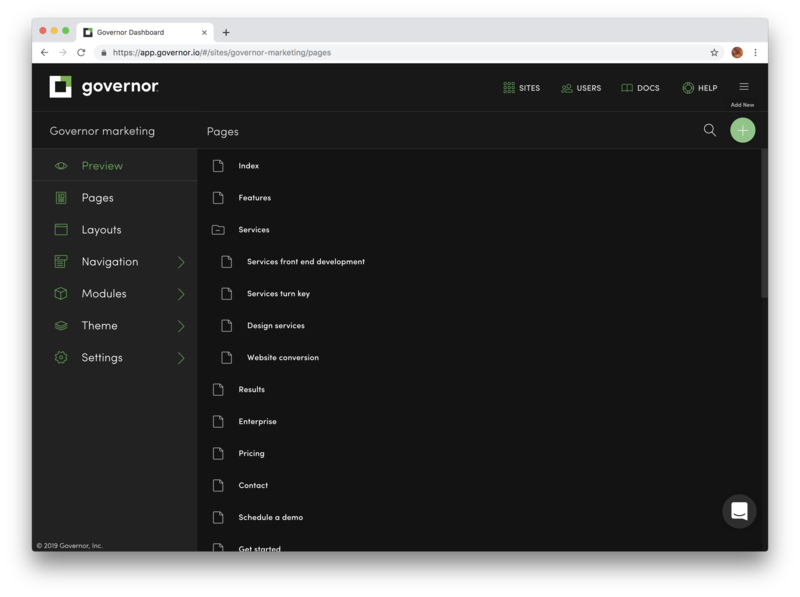 Adding a new page to your Governor site is simple. From the pages list click the add page button in the upper right corner (circular button with a + symbol). 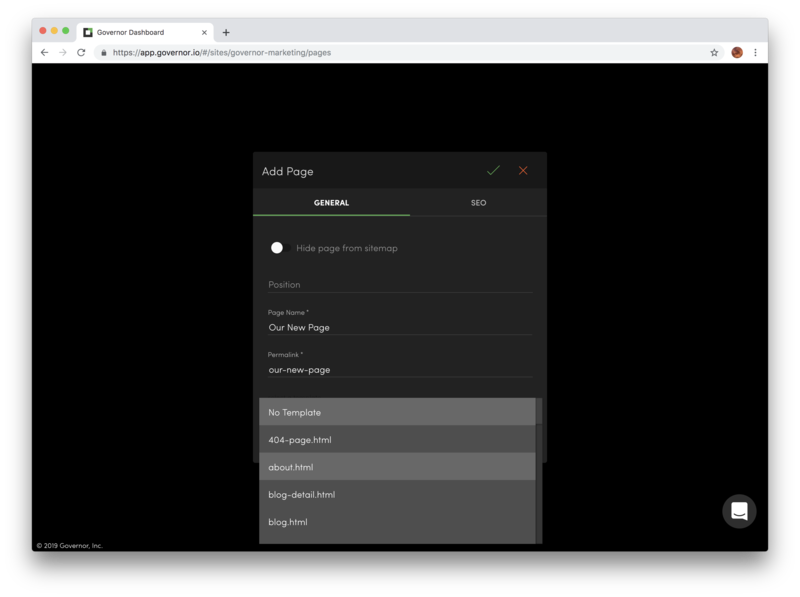 This will open the add new page dialog where you can configure the settings of your page. This determines the location of the new page in the pages list. The lower the number the higher up in the list. This will be the title that appears in the page list. This determines the friendly URL of this page. Normally this will be the same as your Page Name, and it will be pre-filled with the page name by default. This can be changed to a different permalink if desired. Use this dropdown to make another page the parent of your new page. Once you've configured the new page, click the checkmark in the upper right corner of the Add Page dialog to create it. 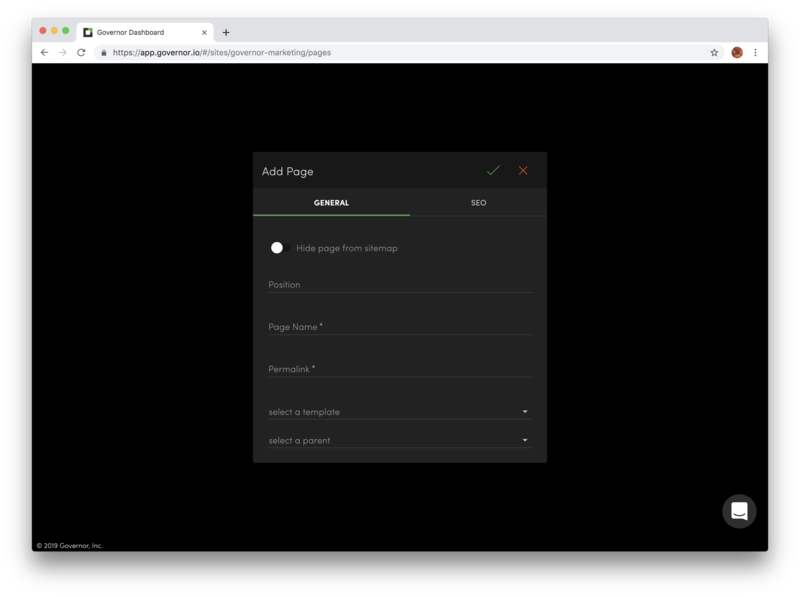 Now you're ready to add content to your page!